Yesterday was my first small vessel operation where we took down a base station and set up a new system on an islet next to Harbor Island. We took RA-7, a skiff that used a crane to lift it off the flying bridge of the ship and into the water. 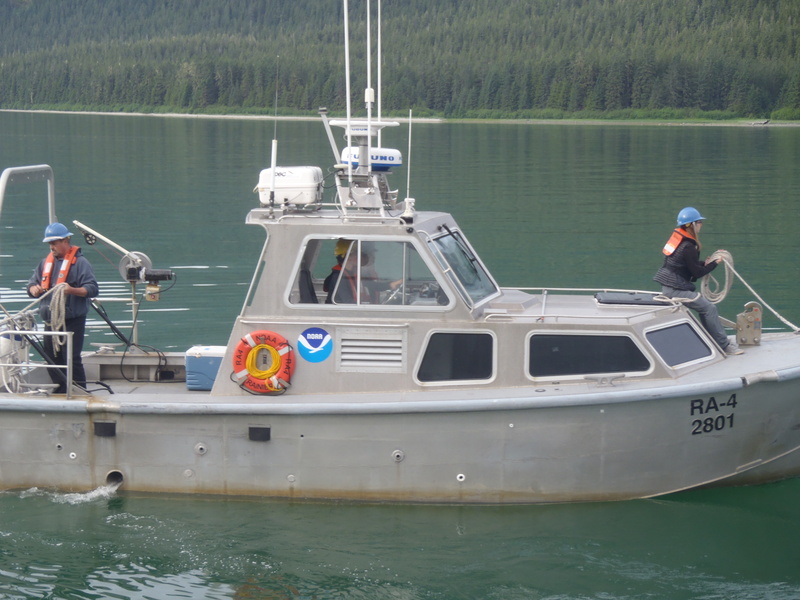 This local satellite receiver allows for a reference point for data acquisition that occurs in Alaska, where the GPS system is not as dependable as the lower forty eight states. 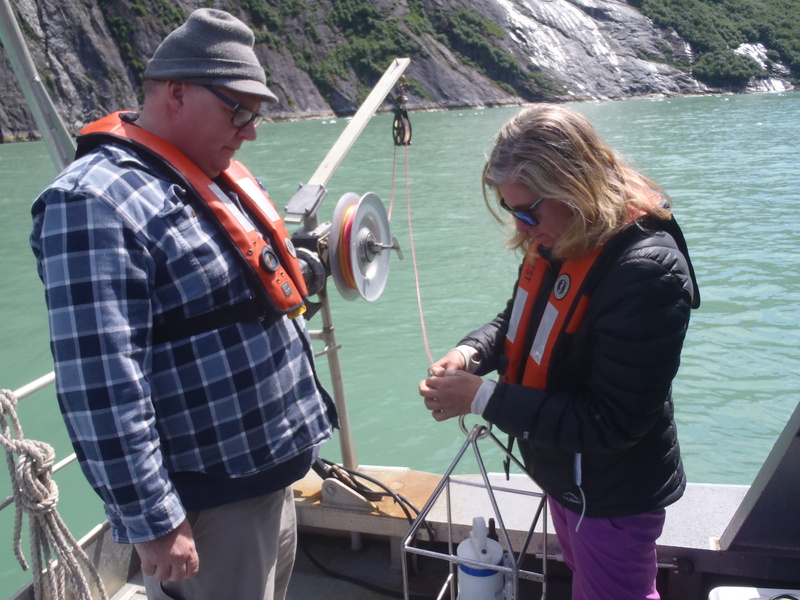 The positioning given from this high accuracy base station, called GNSS, will assist with nautical charts developed from the Tracy Arm project once time sonar data has been collected. Since the lower forty eight states have permanent base stations with this highly accurate positioning, there is no need to set up these stations. 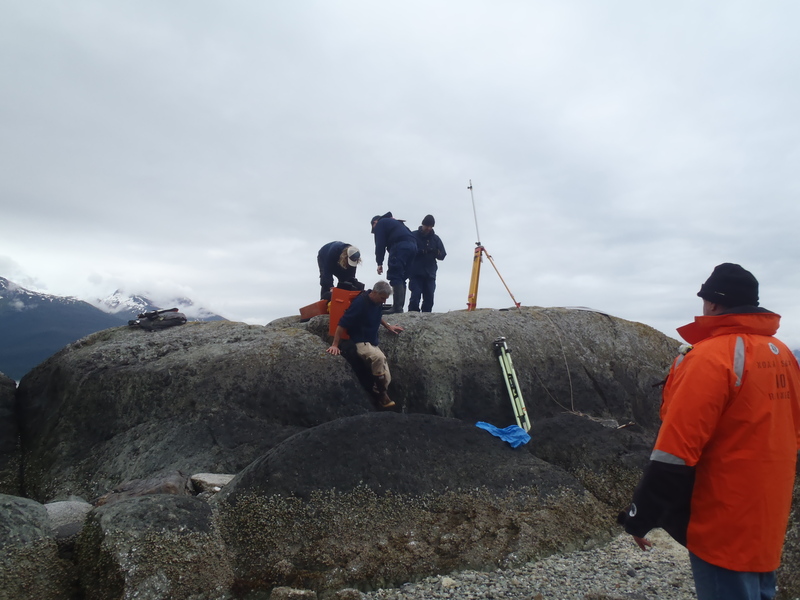 The base stations work by comparing the satellite positioning to a theoretical ellipsoid that was generated in Canada to standardize positioning. Before this, different areas would utilize various landmarks as the reference point and this inconsistency proved challenging when comparing data internationally or even across the states. So, geodesists, scientists who study geometric shape, positioning in space and gravitational field, generated a theoretical ellipsoid. This was created by rotating the shorter axis of an ellipse to mimic the shape of the Earth. Since the poles of the Earth are flat and the equator bulges, this ellipsoid is an accurate representation. 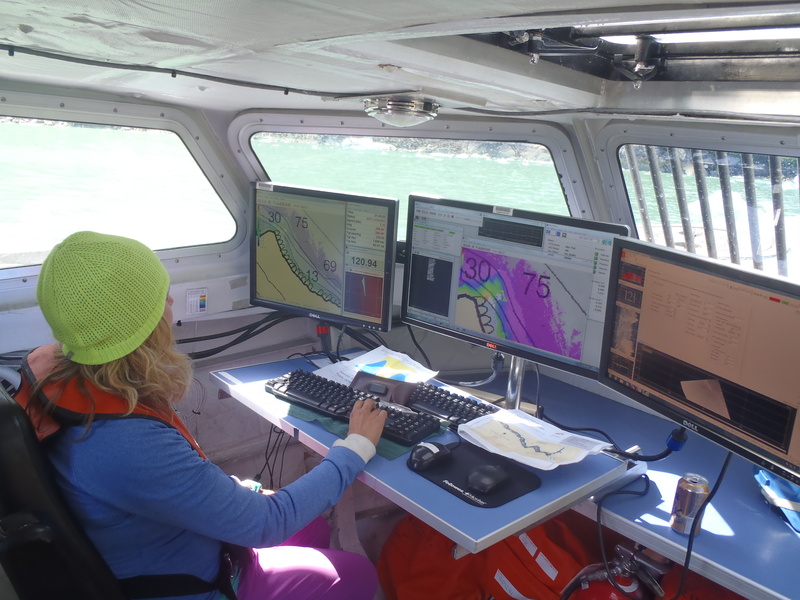 This system gives all points on Earth a unique coordinate, similar to an address, and is extremely helpful in developing nautical charts. However, the limitations of this theoretical ellipsoid include its inability to take into account the actual shape of the Earth. While being on the skiff and learning about theoretical positioning ellipsoids, I heard a lot of talk about RA-2, one of the shoreline launches on Rainier. I learned that in addition to a single beam sonar, this vessel also has LIDAR. 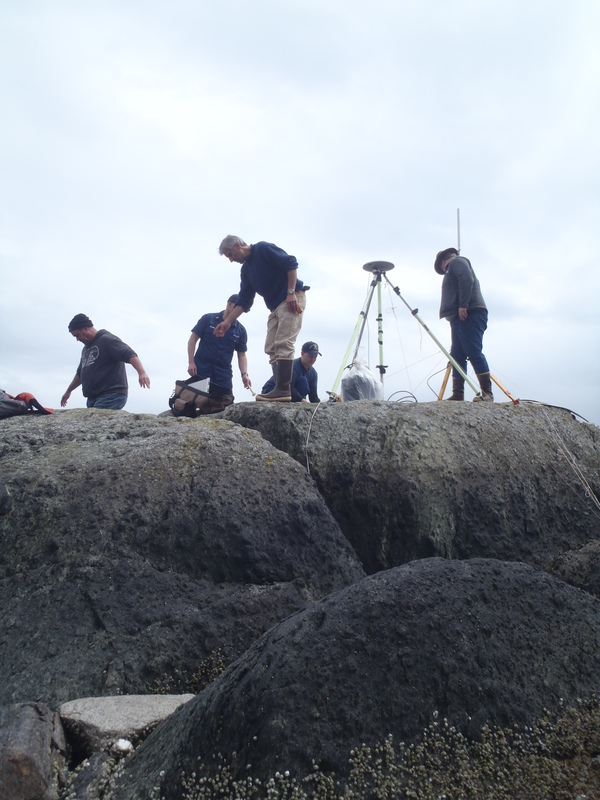 LIDAR, Light Detection and Ranging, can be used in bathymetric data acquisition and is currently used for shoreline data on Rainier. This remote sensing technology can survey up to seventy meters of depth in coastal waters by sending out a laser. LIDAR sends out light pulses and senses the time it takes for these lasers to return to the sensor, to gather data on different land structures. LIDAR gets cloud point data and dots make up the image of the ocean floor. From this, three dimensional maps can be generated. Since the light can penetrate a canopy just like the sun, this technology is used in South America to find hidden cities under tree lines. 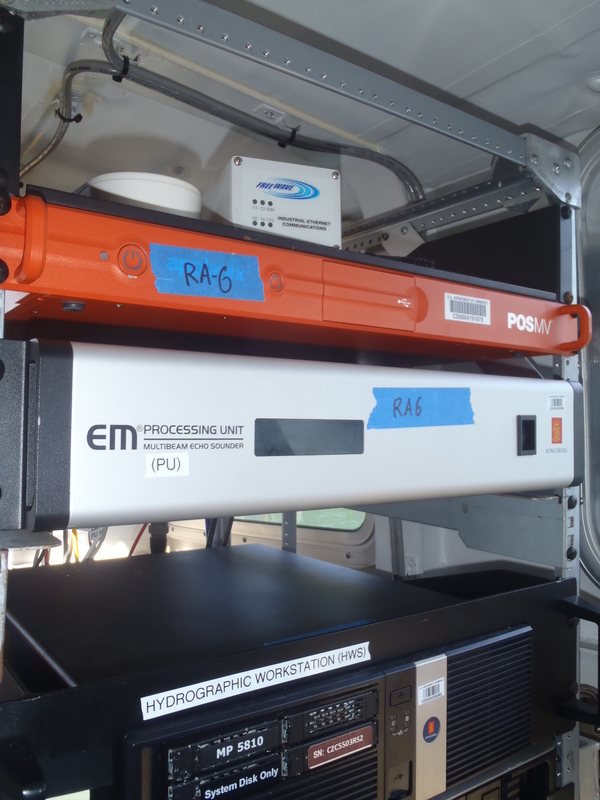 This technology can also be mounted on planes and is most likely the future direction of shoreline data acquisition. Lasers survey the land and they get the height of different landmasses and can be used for bathymetric data or topographic data. Tracy and Endicott Arms are part of two alpine, or tundra, ecosystem areas that ship Rainier will survey. Twenty percent of these areas are covered in glaciers and snow fields and are too cold to support trees. 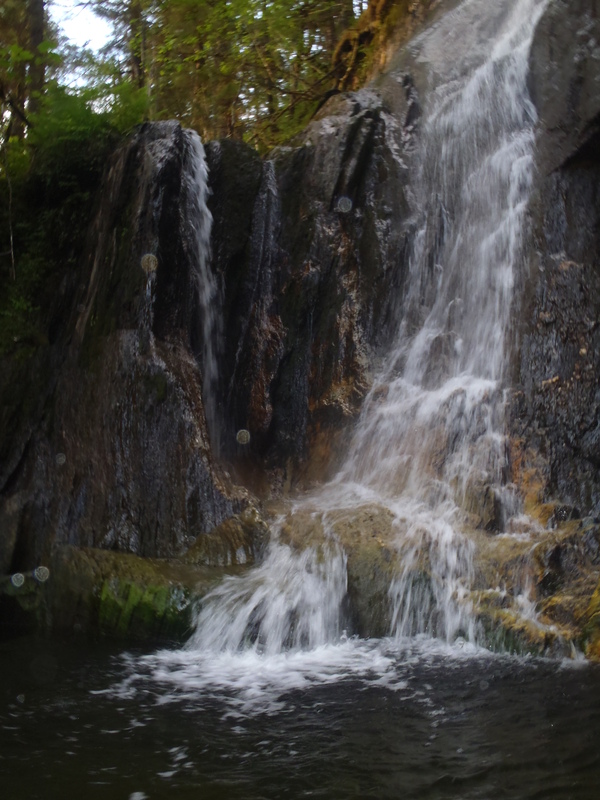 The coastal areas of Tracy and Endicott Arms are part of the Terror Wilderness, which is part of Tongas National Forest, the largest national coastal temperate rainforest. 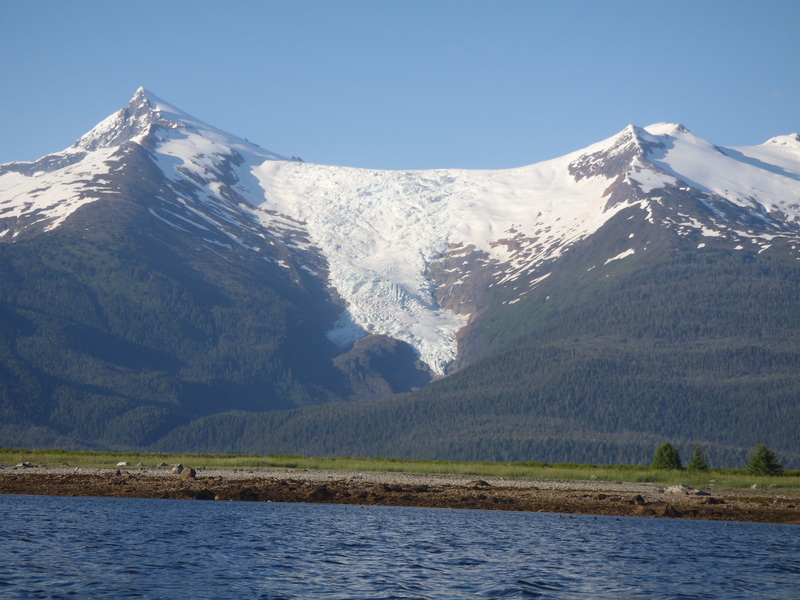 Observing my first glacier, Sumdum Glacier, off the coast of Harbor Island while we were at the inlet of Tracy and Endicott Arms, reminded me of a time much before humans existed. Here, out of Holkham Bay, I experienced my first expedition in a skiff, RA-7, to remove a horizontal control base and help set up a new one. Stepping foot on an actual landmass with all of the different living parts of an ecosystem was a treasure and it most certainly felt like a shore party, as the name suggests. I observed several calcium carbonate shells of urchins, amongst kelp, mussels, and barnacles. The shells transitioned into a forest with Devil’s Club, the only member of the ginseng family present in Alaska, with woody, prickly stems. This shrub was growing under a Sitka Spruce forest with cone-bearing trees present among the steep rocks of granite. These trees can grow up to one hundred and seventy feet tall and can be as old as seven hundred and fifty years old in Southeast Alaska. After an exciting afternoon of a shore party, we safely returned to the ship and headed into Tracy’s Arm. 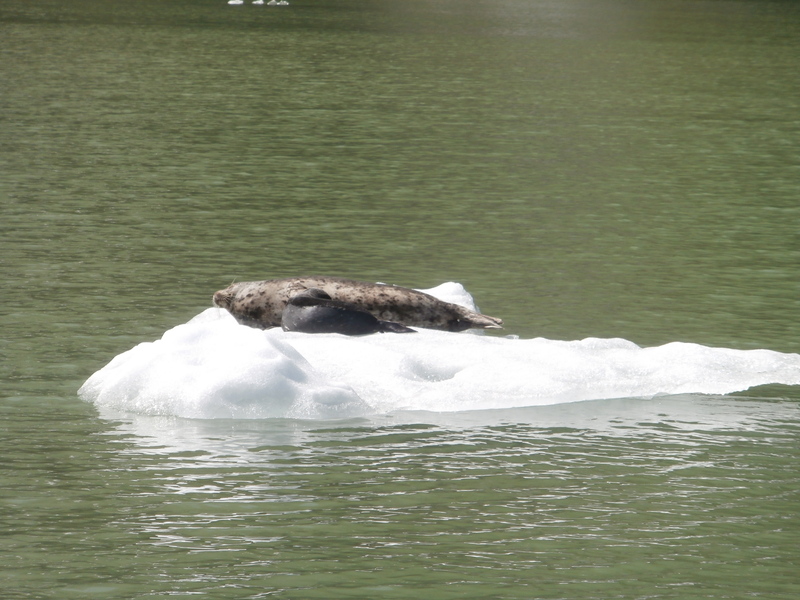 Proceeding into the Southern arm of Tracy’s Arm, I saw calves of the tidal glacier that we would soon see. The refrozen and pressurized snow became glacial ice and carved the valleys to form the deep inlets with massive granite slabs on either side of us. South Sawyer glacier was off to the East and the air seemed to get colder as we approached it. Even in the rain and weather, I couldn’t pull myself away from the incredible beauty of this inlet. After endless waterfalls, we approached Sawyer Glacier which was once big enough to cover all of Tracy’s Arm. This acted as a reminder of the Ice Age and its effect on geology. 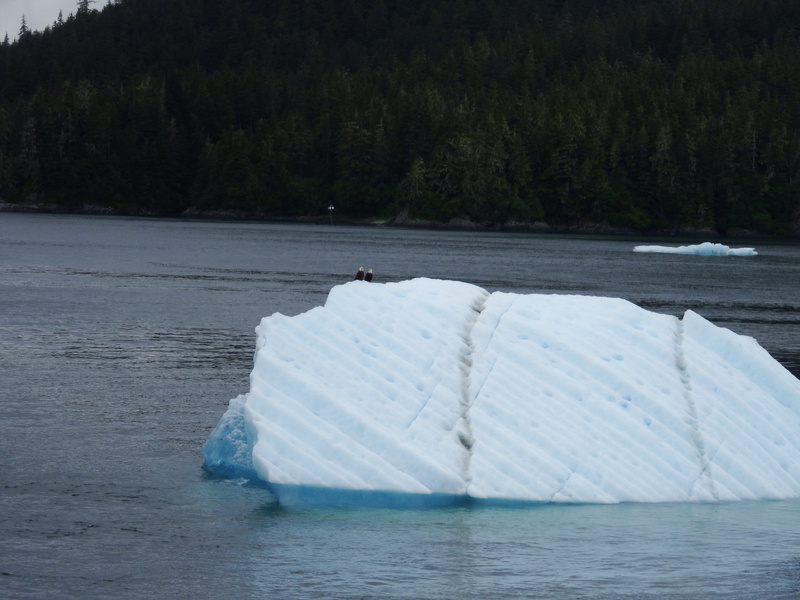 During this journey through Tracy’s Arm, I saw two eagles perched on an iceberg and shortly afterwards three orca whales showing their dorsal fins and playing in the water. As XO informed me, orca whales are actually the largest species of dolphins and these carnivorous mammals can weigh up to six tons. These creatures use echolocation to communicate to their pods, and I wonder how the multi-beam sonar affects this form of communication. Studebaker, Stacy. Wildflowers and Other Plant Life of the Kodiak Archipelago. 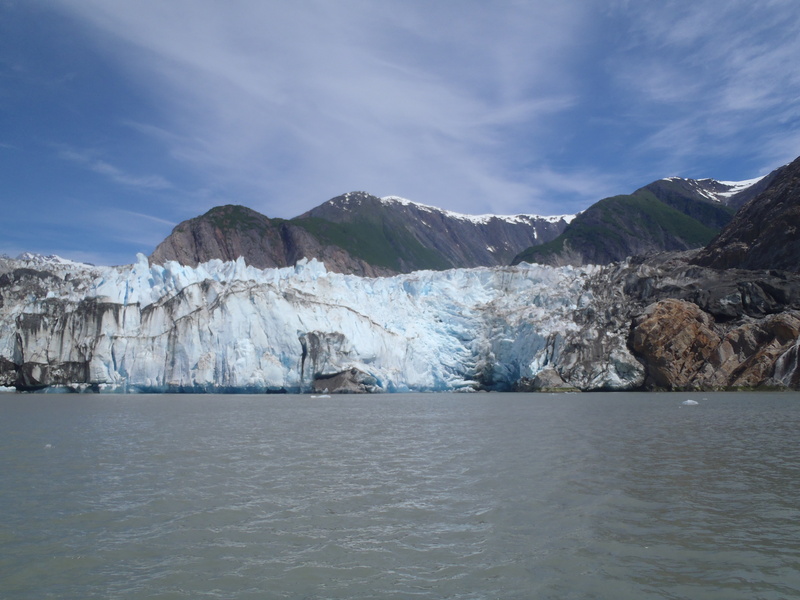 When glacier ice melts, it is filled with air bubbles. As new layers of ice form on top of the old ice, the ice gets denser and the air bubbles get smaller. As the human eye detects the yellow and red light reflected from glacial ice, it appears a spectacular blue. Since snow is full or air bubbles, it reflects the entire spectrum of light and appears white.